Superman, Batman, Wonder Woman, Cyborg, The Flash, Batgirl, Bumblebee and other beloved DC super heroes make science fun and engaging for kids 6 and up. What can Superman tell us about force, gravity, and motion? What makes flight possible (other than a cape)? Can science explain how Wonder Woman’s plane is invisible? Does Martian Manhunter weigh more on Earth or on Mars? Are there rocks, like Kryptonite, that can make humans sick? How does Aquaman breathe underwater? What is the sound barrier and what happens when The Flash breaks it—and what would he need to eat for breakfast to have enough energy to run that fast?! 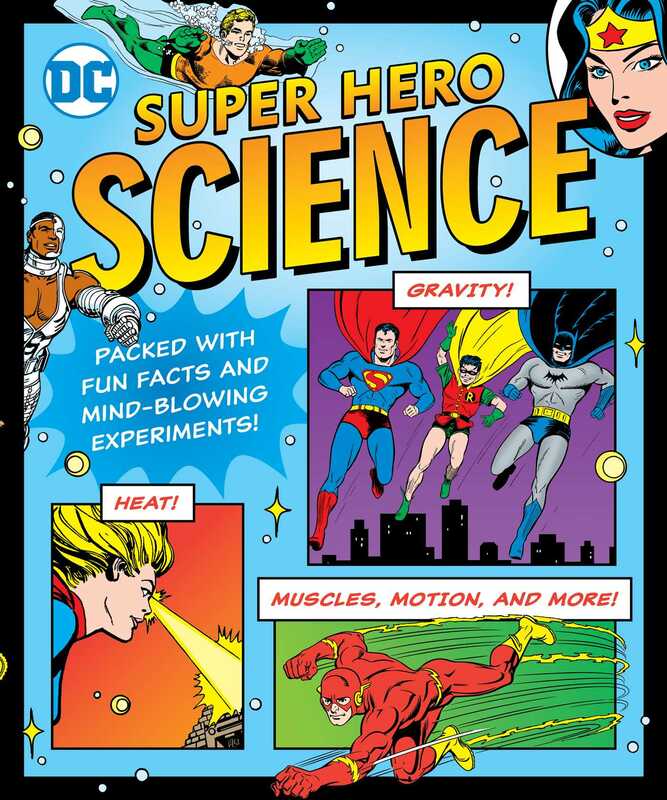 DC Super Hero Science is a clever, clear, action-packed exploration of popular science topics experienced through the lens of DC’s beloved super heroes. Jennifer Hackett studied physics and history at the College of William and Mary. After she decided she wanted to write instead of research, she attended New York University's Science, Health, and Environmental Reporting Program. She now writes about science and math for kids of all ages. In her free time, she loves playing tabletop board games and video games. Her favorite superhero is Batgirl!